Cogongrass is one of the 10 worst weeds in the world. This grass is an aggressive grower and forms colonies causing loss of productive forest areas, severe degradation of habitat, and economic issues. 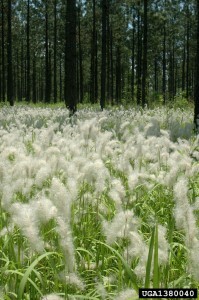 Since its introduction in the 1900s, Cogongrass has spread to most of the counties in Florida. Reproduction occurs through seed production and the creeping rhizome system. This plant is prolific once established with the creation of a very dense rhizome system that retains water and releasing of allelopathic chemicals reducing competition from other plants. Cogongrass is yellow/green in color with an off-set midrib and a fluffy white seed head. Cogongrass is drought and shade tolerant. Once this grass invades, it will quickly displace the native species and requires frequent and intensive controls. Early detection is best since a small infestation is easier and cheaper to treat. The larger infestations become more time intensive, expensive, and difficult. There are treatment options for these infestations, make sure that specific instructions are followed and treatment is repeated. For more information on the biology of this plant and various treatment options visit http://edis.ifas.ufl.edu/wg202. Also, by contacting your local UF/IFAS Extension office for assistance and information. Cogongrass is a fire-adapted species, thriving where fire is a regular occurrence. 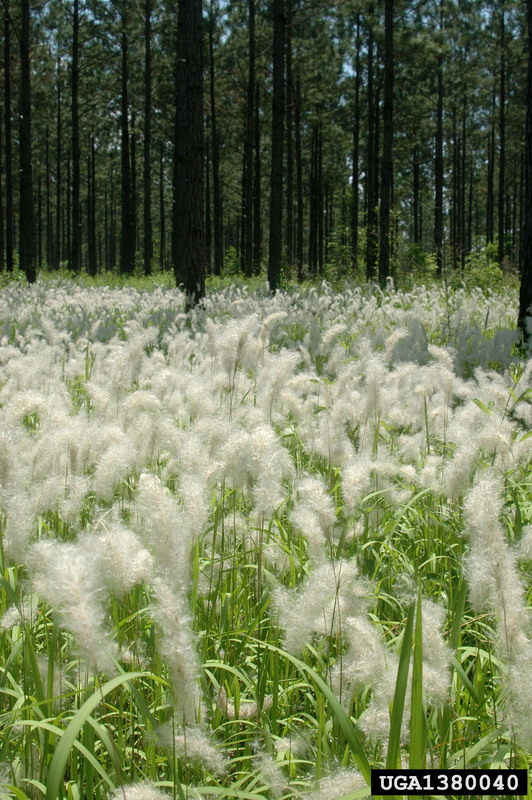 In fact, the threat of wildfires greatly increases with the presence of cogongrass, a non-native invasive species. Cogongrass fires burn hotter and faster than native grass fires. This footage, shot in Baldwin County, Alabama, demonstrates how destructive a cogongrass fire can be to native vegetation. Nylanderia fulva is part of the group of ants called “crazy ants” due to their erratic and quick movements. These ants are medium to small and goldish brown to reddish brown in color. 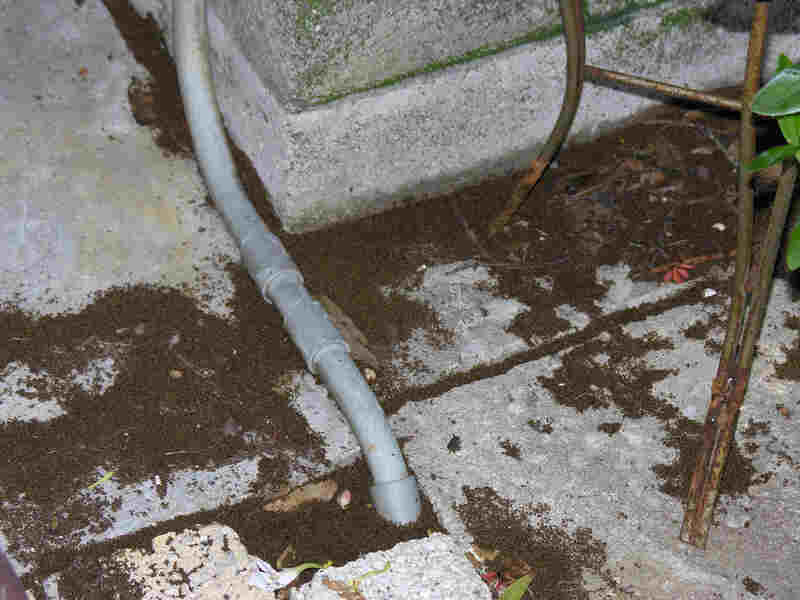 The Tawny Crazy Ants nest in large numbers in leaf litter, soil, rotten logs, under potted plants and along underground electrical conduits. Nylanderia fulva is a nuisance to humans. They infest gardens, sidewalks and other areas of human traffic. They cause damage to electrical lines. They also displace other native ant species due to their large colony size. This ant, Nylanderia fulva, has been confused with several other ants such as the Nylanderia pubens and Nylanderia guatemalensis. Controlling the bug population in your garden and around your home will help decrease the likelihood of Tawny Crazy Ants invading. Avoid transporting plant material, mulches and such to uninfested areas. Granular baits can be used to control smaller populations but large populations will probably need a professional pest control service. The Tawny Crazy Ant was a Featured Creature by UF/IFAS Entomology and Nematology. 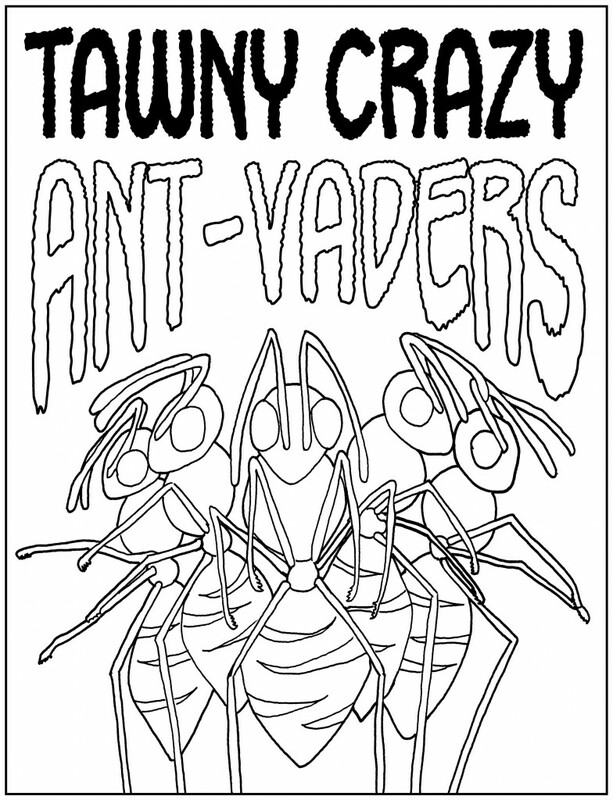 Also, the UF/IFAS School IPM has some good information about controlling Tawny Crazy Ant.